Rebuild kits for all Farberware made in USA model 134 or 138 or 142. 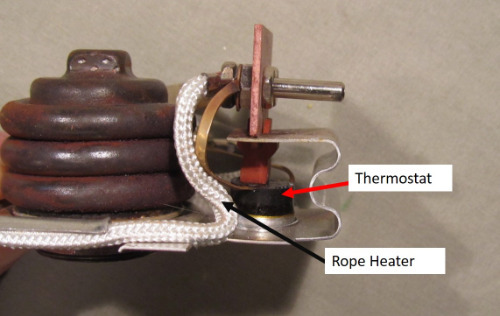 Thermostat and rope heater (warming wire) with Instructions and diagrams. Email to: frank@kitchenmadeusa.com (copy and paste address) and tell me what its doing or not doing so I can tell you what to check in case you need a new heater (they are not available). Full instructions included with parts. You will need an ohmmeter to troubleshoot. Tell me if you need the fusable link, I will send it too no extra charge. THIS IS NOT THE HEATER they are not available.